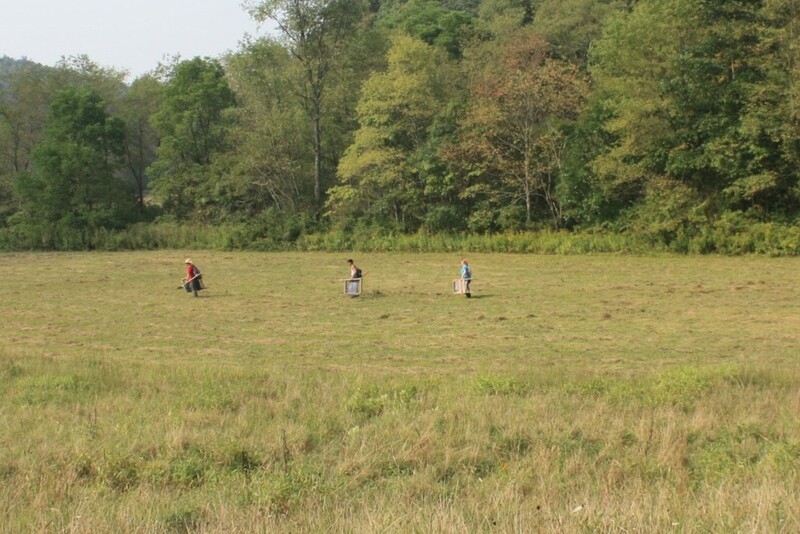 The Archaeological Services Center (Center) is a faculty-led applied archaeology research center that utilizes graduate and undergraduate student workers located in the Department of Anthropology at Indiana University of Pennsylvania. 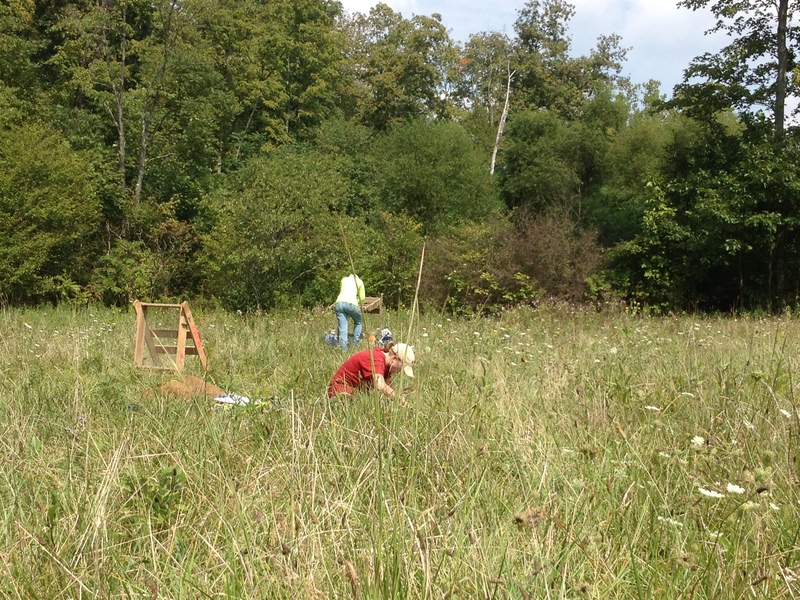 The Centers’ primary goal is to provide opportunities to both graduate and undergraduate students to obtain experience supervising and conducting field and laboratory archaeological projects prior to graduation. The Director of the Center, Dr. William Chadwick, is the only regular faculty staff member of the Center. 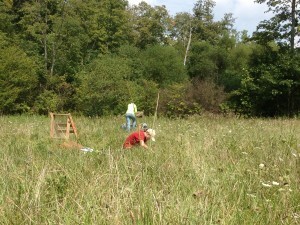 Ashley McCuistion and Hannah Harvey digging test pits. The Center offers a wide array of services to public and private organizations to assist in cultural resource and historic preservation projects required by state, federal and local laws or as part of environmental impact assessments. Since 1989, the center has conducted more than $5,000,000 in projects and technical assistance to agencies as diverse as the Pennsylvania Historical and Museum Commission, the Pennsylvania Department of Transportation, Indiana County, the Pennsylvania Department of Environmental Protection, the National Park Service, the U.S. Army Corps of Engineers–Pittsburgh District, the Allegheny National Forest and numerous planning commissions. The services that the Center provides include, but are not limited to, Geomorphological Reconnaissance and Geophysical Surveys, Consultation, Phase I discovery, Phase II evaluations, and Phase III excavations of significant archaeological sites. The Center is focused on those sites and projects located in the Upper Ohio Valley. 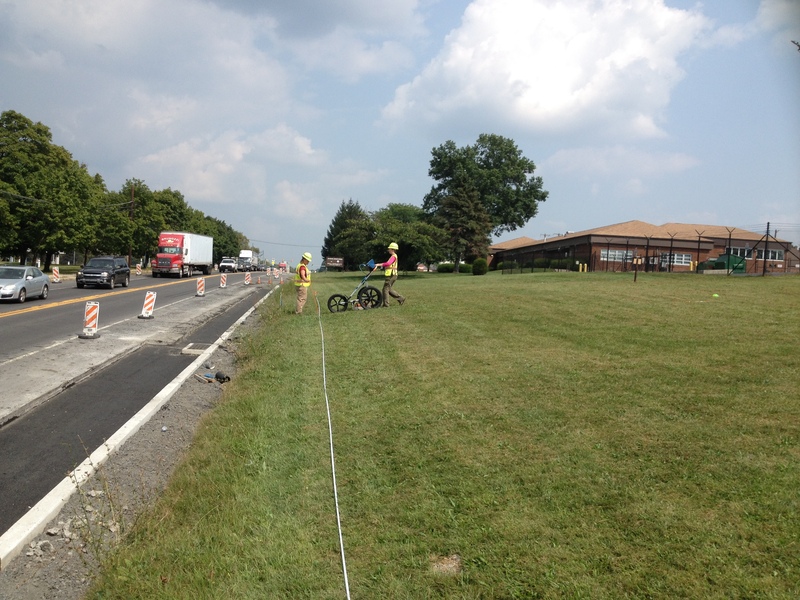 Hannah Harvey and Emily Masters conducting a ground penetrating radar (GPR) survey for Pennsylvania DOT. Archaeological projects through the Center provide students opportunities to have hands-on experience working with some of the technologies that are at the forefront of archaeological research and the Cultural Resource Management (CRM) industry. The Center has access to the latest geospatial technologies including, but not limited to, real-time sub-meter accurate GPS units, a Nikon Total Data Station, a Leica Scan Station C10 3D Laser Scanner, and ESRI ArcMap software. The geophysical equipment and methods used on projects by the Center can include two Ground-Penetrating Radar systems, Gradiometry, Resistivity, Conductivity, Electromagnetic Induction, and Metal Detection. The available laboratory equipment includes an Olympus DELTA Professional XRF, a Nikon Eclipse E200 Polarizing Trinocular Microscope, and a Flote-Tech Flotation System. Geomorphological equipment that can be used during the projects include Edelman and Buck Augers, Gouge Augers, Piston Samplers, and sediment analysis equipment such as a drying oven, electronic scales, sediment splitters, and a set of sediment sieves and a sieve shaker. Whether continuing on into graduate studies or entering the CRM industry, students who have the opportunity to participate in projects through the Center have a enhanced understanding of the real-world application of methods and technologies that are used to study archeological resources. This knowledge gained through the Center provides students experience beyond the classroom that is invaluable when moving from their academic lives into their professional careers. This entry was posted in Digital Archaeology, Fieldwork, Grad School, Labwork, Training.